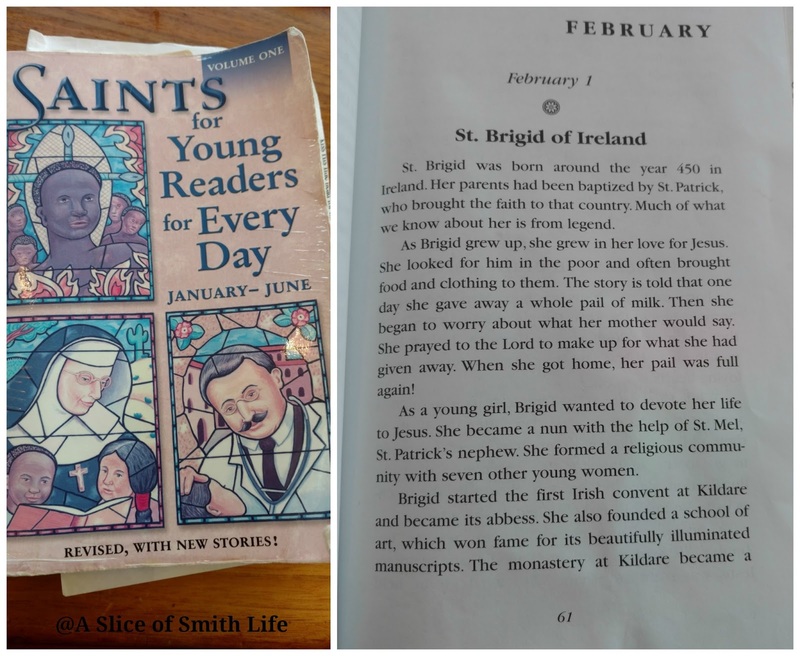 February 1st is the feast day of Saint Brigid of Ireland. There are so many interesting stories about her life! 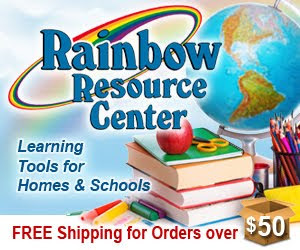 She was born around the year 450 A.D., just a few years before St. Patrick died. Did you know that St. Patrick baptized St. Brigid and her parents? St. Brigid also once fell asleep during one of St. Patrick's sermons. He found it humorous and forgave her with a smile. 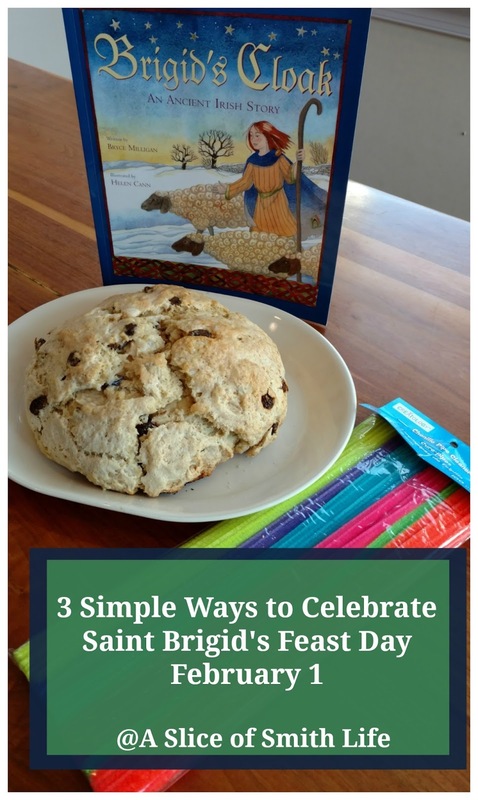 :) I recently wrote a post at EpicPew titled Here's 31 Things You Probably Didn't Know About St. Brigid of Ireland. 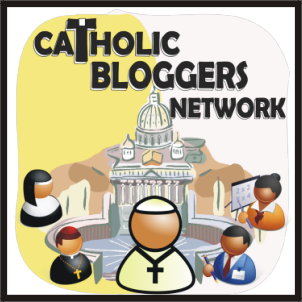 Go check it out to find out a little bit more about one of Ireland's most beloved saints! 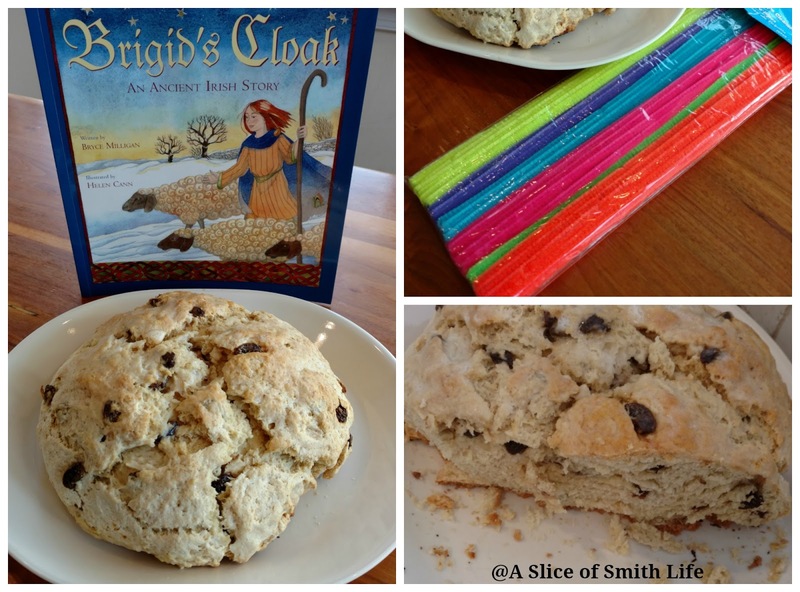 On her feast day we celebrated St. Brigid 3 simple ways that included reading the book, Brigid's Cloak, making a St. Brigid cross craft with colorful chenille sticks and making and eating homemade Irish soda bread that was delicious! I got the easy and yummy homemade Irish soda bread recipe from Chris' blog at Campfires and Cleats. 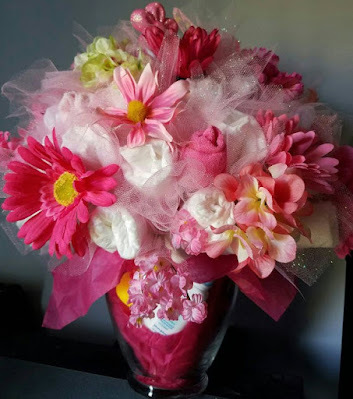 This was the first time I made it and it was quick and came out so good! Even my normally finicky eaters enjoyed the bread! We also read Brigid's Cloak which is a lovely story. 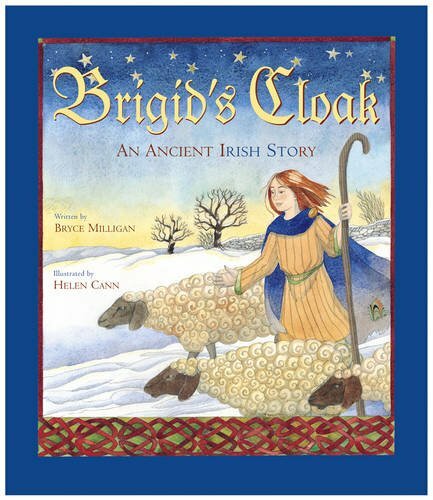 A summary about this book from Amazon... Brigid's Cloak retells an ancient tale about one of Ireland's most beloved saints. On the day she is born Brigid receives a brilliant blue cloak from a mysterious Druid. Years later, the young girl still wears the now tattered but beloved cloak while she tends her sheep. Is it her imagination that suddenly takes her to an unfamiliar land? Or is it something far greater that leads Brigid to a crowded inn in a town called Bethlehem? We then made St. Brigid's crosses with chenille sticks. 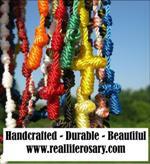 The story of her cross originated when St. Brigid was teaching a dying pagan chieftain about Christianity. 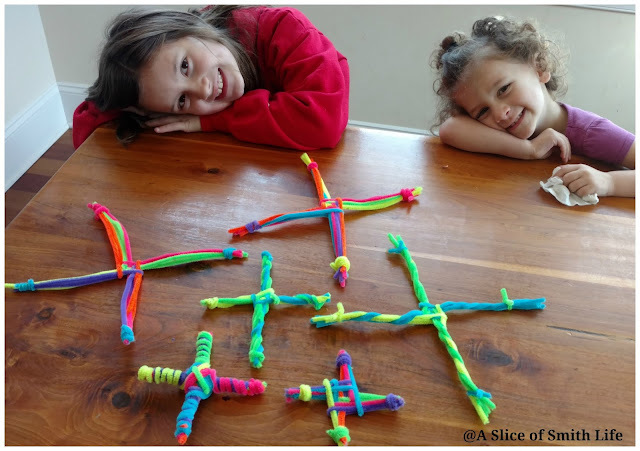 While her head was bowed she picked up the rushes (a common floor material in Irish homes) off the ground and began braiding them into a cross. 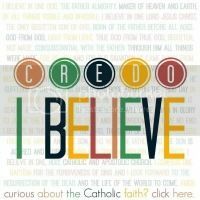 The chieftain asked Brigid about the cross and its meaning. He converted to Christianity and was baptized before his death. The pattern for the cross is easy to follow. 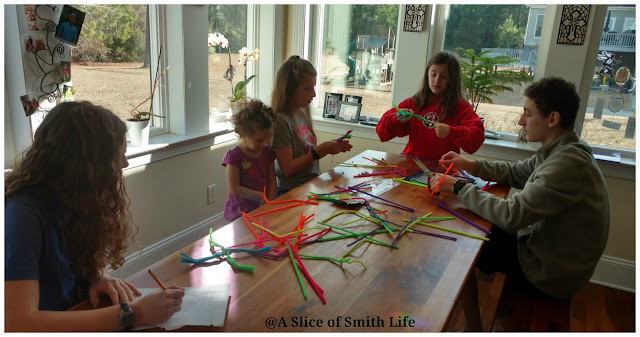 We used the directions on Lacy's blog at Catholic Icing to make ours. 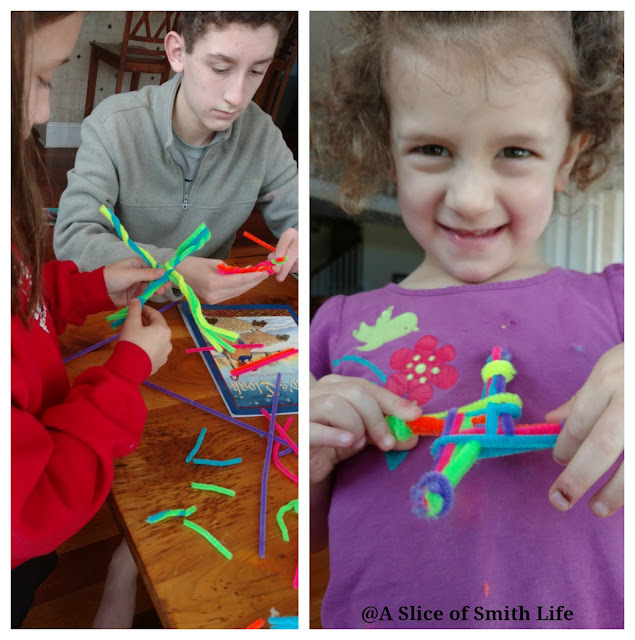 For more ideas on how our family has celebrated various feast days be sure to visit my A Slice of Liturgical Life page that I have compiled for ease of reference for others and myself! 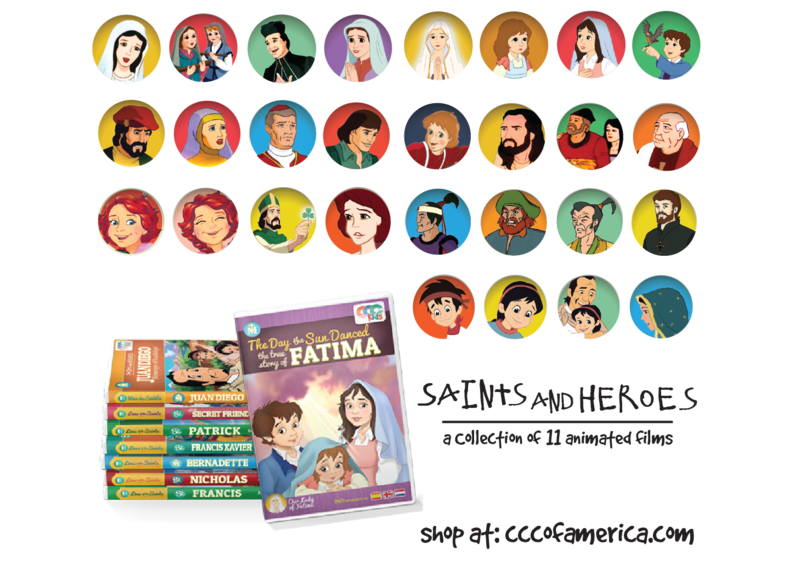 I hope readers will be inspired by some our family's liturgical celebrations that we have enjoyed doing in the past!